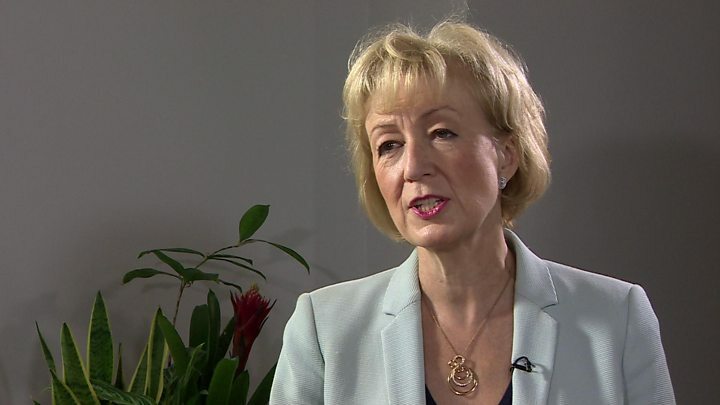 Commons leader Andrea Leadsom has tried to bat off concerns that crucial legislation would not be ready in time for Brexit. “Much of the preparations for Brexit takes places in secondary legislation, something that’s often not covered by media…. “We have up to 600 statutory instruments, we’ve now laid 400 of them which we’re confident will be passed…All those that need to be passed by Brexit day will be,” she told Radio 4’s Today programme. But analysis by the independent Hansard Society suggests time is very much running. Secondary legislation – passed through Statutory Instruments (and also known as ‘Henry VIII powers’) – is a way for ministers to make to make detailed orders, rules or regulations without needing to pass a bill. Often they are technical, sometimes they have significant impacts, but they generally don’t require debate unless it is demanded. The other half require at least 21 days to pass. “If the UK wants these statutory instruments to be in place for 29 March, the latest sitting day they can be laid is need to be laid is 7 March,” the Institute for Government helpfully point out. That’s four weeks away. That’s just secondary legislation. In the event of no deal, the government has said that six full bills will need to be passed as Acts of Parliament – a financial services bill, a healthcare bill, a trade bill, an immigration bill, an agriculture bill and a fisheries bill. None of these have received Royal Assent yet – and delay has crept into the timetable for the Agriculture and Fisheries bills (both are waiting to return to the Commons for committee stage), a spokesperson for the Institute for Government tells us. There are two other warning signs dressed up as ‘progress’ today. And fresh efforts at finding a Brexit compromise aren’t too uplifting either. As Politico’s Jack Blanchard writes this morning, there’s another worrying development for those hoping to avoid a no-deal Brexit: “Six Cabinet ministers were on Monday evening expected to meet in central London in an attempt to reach a compromise over Brexit,” according to Telegraph Deputy Political Editor Steven Swinford. “The meeting is said to have been brokered by Chris Grayling, the transport secretary.” We’re all doomed.